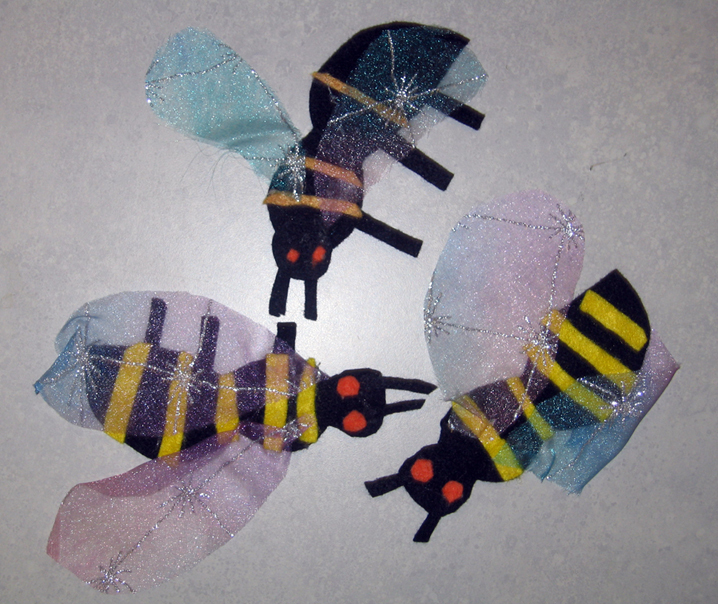 Teachers Network: Adaptor Grants: Honey, I Blew Up the Bee! As a final project, students created a model garden and model bees. We wanted to know what would happen when one bee visits a pollinated flower and then travels to another flower. 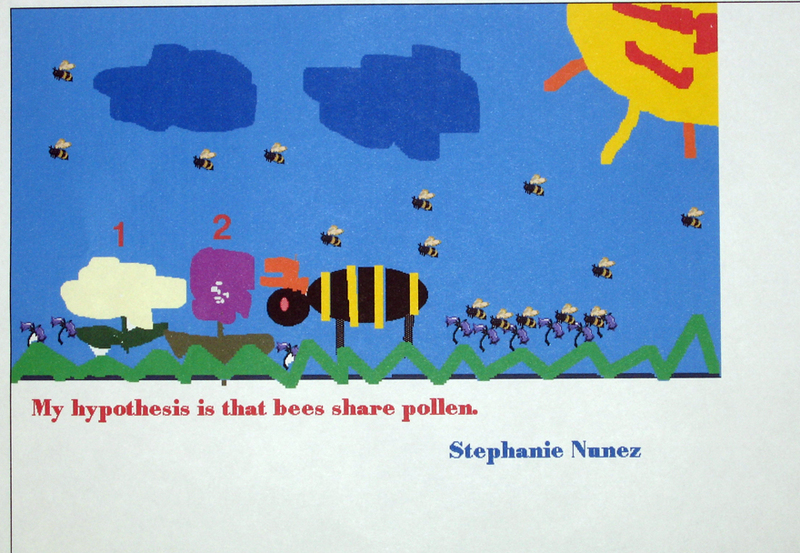 Students learned that bees carry pollen from one flower to another. Students read information regarding bees on websites. 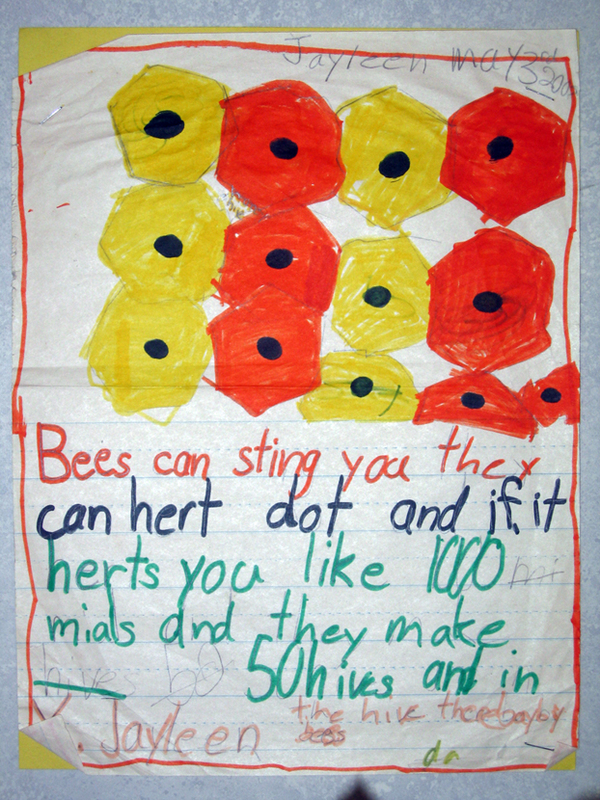 They also looked at pictures and diagrams of bees and bee hives on-line. Children visited http://42explore.com/bees.htm. Students' understanding was demonstrated through written responses and through accountable talk within the classroom. Students were expected to understand primary objectives. I recommend printing the unit out to follow all the activities in print as well.